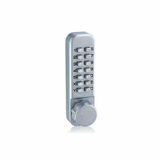 Lock the history of the development is the witness of the origins of human civilization. In ancient times, an intelligent man know how to wrap the skins of personal valuables outside, tied with a rope, marked with a special knot in the last open. Knots can only use a tool called "bone file in order to pick open. Knots and bone filing, the prototype of the lock and key. A spectacular close with the annual International Consumer Electronics Show and the Guangzhou Fair, intelligent home, a wide range of digital appliances exhibition in the beautiful landscape, in which he alleged that the digital electronic lock industry chain manufacturers and the construction industry users benefit the most. China in recent years digital electronic locks and intelligent building market matures, and the market for the two concept of building safety and energy saving concerns, a number of security products from the outside gradually favored by the domestic market. In the context of technology is changing life, with a lot of "useless" concept "products, practical marketing strategy, digital door locks, Nathan, became the biggest winner. If you are Korean fans, Korean, you must not carry a long list of key out as long as the door, returned home, as long as the chip or the fingers gently induction about or by password "figure very familiar with . 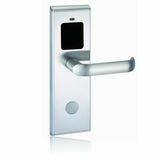 The mid-1990s, digital door locks started in the Nordic countries and the United States, South Korea, Japan and other economically developed areas first application up and some manufacturers, IC, TM, RF Digital electronic door locks in the civilian consumer market speedy completion of market entry phase of the expectations.China's digital door locks, although a late start, but with the rapid development of residential, automotive, high-grade office buildings and hotels and other pillar industries, as well as national defense, public security, financial and other systems with high preventive locks product demand increasing digital locks became popular. Now, China has become the world's largest lock consuming countries, domestic locks industry with annual sales exceeded 40 billion yuan mark, and the lock market will remain high growth rate of more than 20% per annum. According to data provided by the ASSA ABLOY Group, in which the market share of digital door locks from 2009 to less than 5% has risen to nearly 10 percent in the first-tier cities, the ratio will quickly reach a 15% share.